According to The Independent, European leaders are ready to allow the UK to delay Brexit once again, pending the results of a second referendum. Recently, the House of Commons rejected UK Prime Minister Theresa May's deal for the third time, and the EU responded by calling for a summit on 10 April. According to Brussels officials cited by the newspaper, the UK could be given some time to hold a general election or hold another referendum to get a majority for the withdrawal agreement. "One is if there is a general election. All of us speculate about what that changes, but we are a democracy and we respect democratic procedures so it would be," the official said, as quoted by The Independent. The official added that there is no final decision yet, and the member nations' leaders would issue a final verdict at a 10 April summit. "And then the less defined one: if there is some sort of plan for a political process that can lead to, if not a political consensus, then at least a workable majority. That, and I should underline it, cannot involve any reopening of the withdrawal agreement," he stressed. The UK Parliament rejected May's Brexit withdrawal agreement for the third time on 29 March; the deal would have outlined the nation's exit from the European bloc. 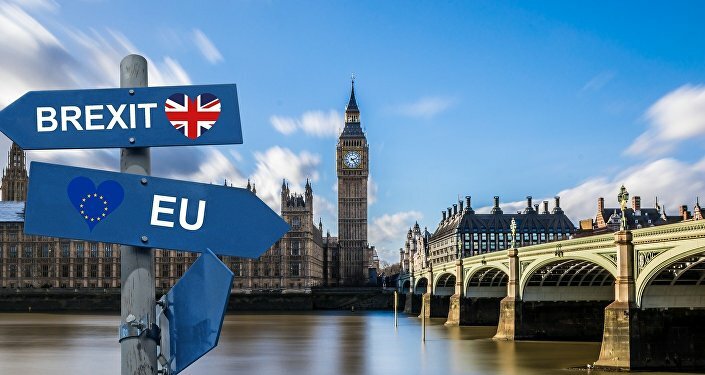 Now the United Kingdom, in order to conform to its Brexit deadline extension agreement with the European Union, must either suggest a different deal by 12 April or exit the bloc without a deal in place on the same date. The European Union has given the United Kingdom until April 12 to determine alternative withdrawal arrangements, or leave without an accord on that date.